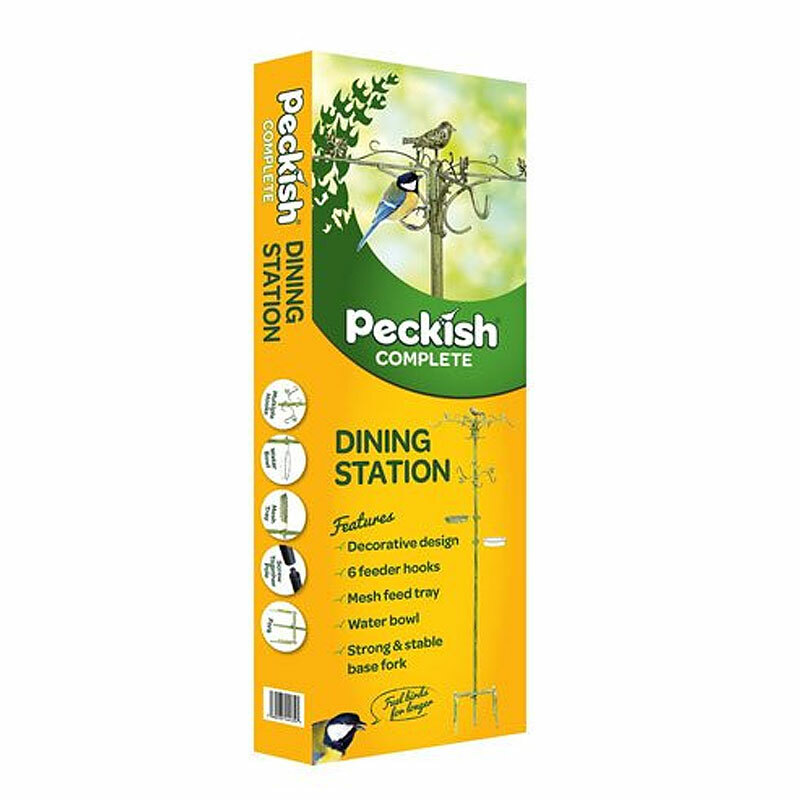 The Peckish Complete Dining Station is a very stylish addition to your garden, making sure that your wild birds get plenty of choice when they visit. 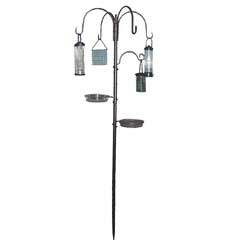 6 x decorative feeder hooks. 1 x Mesh feeder tray. 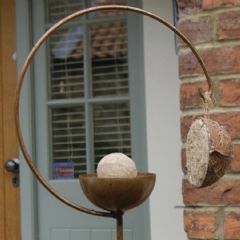 1 x Decorative bird finial. 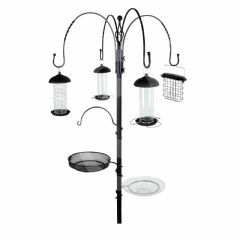 This feeding station will entice a wide variety of wild birds into your garden. 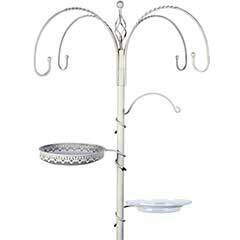 It features all that you will need to feed, bathe and water your feathered friends. 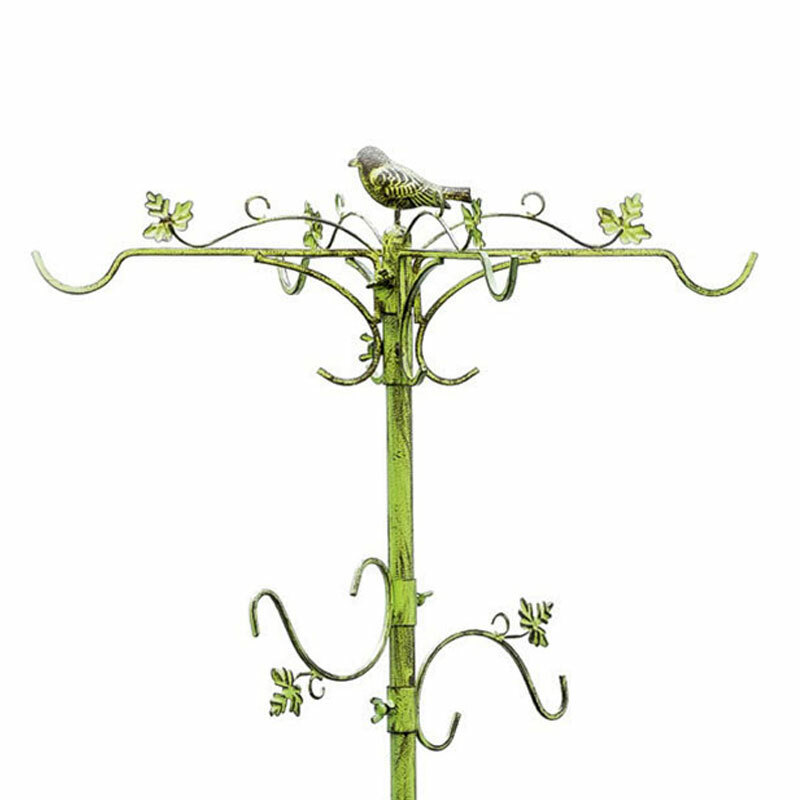 It would also make a great gift for the bird lover in your life. Pole slots connect and are secured by wing nuts. Strong and stable four pronged fork. Customer Note: Treats and seeds are not included. 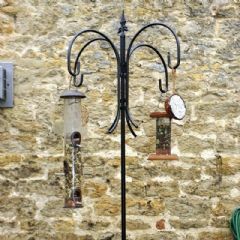 The location of your garden and the type of vegetation immediately around it will determine what birds will visit your feeding station, and in what numbers. Siting is very important - birds will only use it if they feel safe. Also wild birds get excited and pre-occupied about bathing, and tend to be more vulnerable than at other times. Make sure birds have clear visibility as they bathe, with bushes or trees nearby to provide cover if alarmed, and perches to use when preening. Very good quality looks very nice thank you Paul & Janet Evans. The item I bought was damaged and they replaced it quickly and with little fuss would buy from them again a very honest and reliant seller well done. 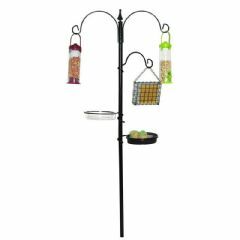 The item was reasonably priced for such a sturdy and well constructed bird feeder, I was truly delighted with my purchase. I had to search long and hard to find a product that met my requirements and I couldn't have been happier. 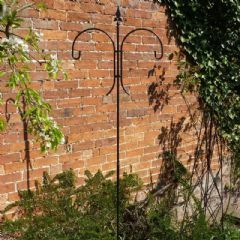 Plus the delivery was prompt and the item was securely packaged - I couldn't have asked for better and I wouldn't hesitate in recommending this item for anyone looking for something special! Everything was 1st class packing,contents,delivery,instructions. I cannot give enough praise and the service could not be better. 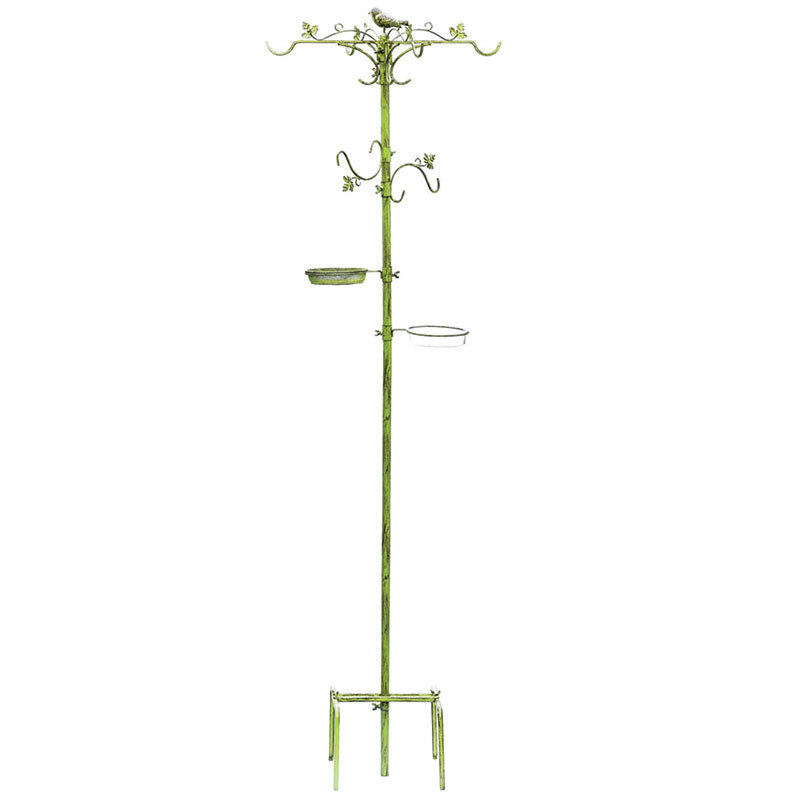 Speedy Delivery, assembles easily, Looks great.. All perfect until recent strong winds. Feeder was inserted well into the ground (Around 18") and supported by the base clamp. Unfortunately due to the "Top Heavy" nature of the individual feeders the central pole has bent in the wind. I have now had to stake the central pole with guy ropes and pegs which has resolved the problem but isn't ideal. 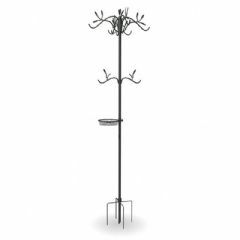 The central pole is not really substantial enough given the overall height and design of the item. Shame..